A child prodigy is an individual who masters one or more skills or arts at an early age. It is an extreme form of a gift. One generally accepted heuristic for identifying prodigies is someone who, by the age of 12, displays expert proficiency or a profound grasp of the fundamentals of one or more domains, rendering him qualitatively different from other individuals. Wolfgang Amadeus Mozart is a quintessential child prodigy because of his extraordinary gifts in the musical sphere. Some child prodigies continue to excel as adults, developing their gift to the full, becoming known as a genius, making valuable contributions to society. Unfortunately, though, many do not. After they reach physical adulthood, many of their peers have caught up with their intellectual or other ability, and may have surpassed them in other areas. Balance in many areas is required for maturity; brilliance in a single area can lead to problems. Thus, for a prodigy to realize their true potential, the challenge for parents and educators is how to encourage the full realization of the gift while at the same time developing a strong foundation in other areas, emotional, social, as well as intellectual, that stand the person in good stead in adulthood. To be a prodigy requires mastery of a skill or knowledge of the fundamental principles of a field in childhood, basically prior to the teenage years. While Mozart may be the most well-known example of a prodigy in the field of music, other significant prodigies include Carl Gauss, mathematician and scientist; English painter John Everett Millais; and chess player [[Samuel Reshensky]. The term Wunderkind (from German: "miracle child" or "wonder child"") is sometimes used as a synonym for prodigy, particularly in media accounts, although this term is discouraged in scientific literature. Not all child prodigies go on to become great creators, inventors, or to make great contributions to the world; some no longer stand out when their peers catch up with them. No matter how powerful the adult talent of a grownup child prodigy, he is no longer a prodigy, because the term is linked not solely to ability, but also to age. Many adults, even if continuing to excel in their earlier domains, are forever ex-prodigies. 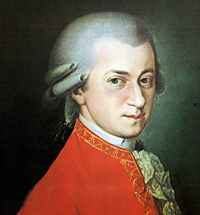 Some, such as Mozart, continue to develop and excel in their fields and become known as geniuses. Others were never identified or perceived as gifted when they were children, such as Charles Darwin, Thomas Edison, and Albert Einstein, yet are recognized for their genius later in life. An often asked question is "Are prodigies born, or can prodigies be made?" Is gift a genetic outcome, or can it be created through environment—by parents, schools, and mentors. Solely environmental theories to account for the performance of prodigies have been developed, examined, and to some degree 'tested'. For example, Laszlo Polgar set out to raise his children to be chess players, and all three of his daughters went on to become world class players (two of whom grandmasters), emphasizing the potency an environment has in determining the area toward which a child's energy will be directed, and showing that an incredible amount of skill can be developed through suitable training. a culture in which that proclivity will have a chance to flower. Thus, the prodigy is an astounding amalgam of the highest amounts of proclivity with the greatest amounts of stimulation and structure provided by the individual's family and society. Prodigies, regardless of their portrayal, are people, and as such are generally confined by much the same constraints on learning and emotional issues that most people deal with. It is impossible to learn to play tennis in a prison, and it is rewarding to learn music with encouragement. Time and energy, is required to learn and absorb the proper skill set. Emotions play an incredibly important role (as in almost all people), from the catastrophic tendencies exhibited by stereotypical examples of 'tortured geniuses', to the obvious distracting quality of bouts of uncontrollable depression, to the less tangible and poorly understood qualities of the effects of emotions on one's creativity and general thought patterns. Biographical accounts by prodigies themselves show that most child prodigies devote a substantial amount of time to learning and studying, that some prodigies experience serious problems which appear to be related to their unusual early lives, and that very few prodigies emerge in families that do not provide good opportunities to learn. In addition, scientific investigation of the gifted reveals the importance of drive and hard work in achievement of any kind. Few studies have examined the neurological activity of prodigies. However, Michael O'Boyle, an American psychologist working in Australia, has recently utilized fMRI (functional magnetic resonance imaging) scanning of blood flow during mental operation in prodigies to display startling results. “Calculators,” those capable of mentally performing arithmetic, geometrical, or other complex mathematical operations, normally reserved for electronic calculators, achieve six to seven times the typical blood flow to parts of the brain observed to be active during mathematical operations. Mental calculators are not to be confused with other mathematical prodigies, because mechanically carrying out and keeping track of progress in a calculation is very different from having an understanding of the deeper principles behind mathematics. This is potentially one of the reasons why mental calculators do not necessarily go on to become mathematicians. A similar principle, for nearly the same mental mechanism, can be observed among players in games, such as, for example, chess or go. In other studies, Paul Thompson and his colleagues used MRI to study the brains of 20 pairs of identical and fraternal twins. They found that intelligence was linked significantly to the amount of brain matter in the frontal lobes. An EEG study of working memory, specifically the "visiospatial sketchpad" which holds visual and spatial information, found that high IQ individuals showed activated areas in the rear of the brain. In EEG studies of alpha waves done by Norbert Jausovec on high IQ individuals revealed that they used less mental effort than average IQ individuals when solving closed problems; highly creative and gifted individuals used less mental effort in creative problem solving. The personal development of child prodigies has tended to capture a share of attention in popular culture; likewise, over the years prodigies been the subject of historical as well as sociological and psychological inquiry. When a child prodigy fails to develop into an outstanding adult through some tragic happening, it always captures attention. Famous examples include Thomas Chatterton, Bobby Fischer, José Raul Capablanca, David Helfgott, Ryan Chan, Blaise Pascal, and Ruth Slenczynska. In cases such as Zerah Colburn, William James Sidis, and Wolfgang Amadeus Mozart, history is colored by early achievement and promise of something greater, and tragic events of adulthood are particularly emphasized in historical or popular accounts. One early literary example of a child prodigy with a tragic fate is found in The Hampdenshire Wonder, but again the portrayal is rather colored, describing not an accurate account but a fictionalized idealization. Counter examples, such as Jeremy Bentham, Thomas Young, John Stuart Mill, Murray Gell-Mann, Karl Benz, the Vilna Gaon or Pablo Picasso, suggest that it is possible for prodigies to have continued success well into old age. It is often expressed that prodigies sometimes have difficulty adjusting socially. In the 1940s Leta S. Hollingworth noted that the "optimum IQ range" appeared to be between 125 and 155. Those above 155 had more problems with personal adjustment. Above a certain point there was a slight inverse relationship between performance on "the Concept Mastery Test Form A," a test of verbal intelligence, and personal adjustment. It should be pointed out that this is based on an outdated test. Although Hollingworth's findings may be outdated, some adjustment issues for child prodigies are obvious. It is not uncommon for the highly intellectually capable to be ostracized in school, or at least be emotionally dulled by the conversation of their average classmates. They typically have very different priorities than other people, with popularity, friendship, and common excitement being secondary to the quest for knowledge, mastery of skill, or more personal yearnings, creating a mis-step with society. In addition, the unusualness of a prodigy's priorities and capabilities may lead to difficulty in relating to peers. Some may simply dream too large. The possibilities seem endless when one is young: one can progress rapidly through a subject which might take an average uninterested student much more time. As one matures, however, those that one is competing with are proportionally not much older, and possibly just as driven. Also, the subjects become increasingly difficult. For example, mastery of the fundamentals of calculus is not beyond most bright youngsters, but if this ability is misconstrued as a cue to jump into Quantum Field Theory when an individual is not ready, the result may be discouragement and burnout. In spite of this, most individuals formerly identified as prodigies go on to lead generally happy lives. A famous study by Lewis Terman indicates this, and although the participants were pre-selected to some extent, the results are true of the majority of individuals. The spectacular reversals of celebrity are held in the upper echelons of public awareness, but it should be emphasized that our history is filled with geniuses who have displayed phenomenal early talent. Such talent is de rigueur in classical musical performance, startlingly commonplace in the hard sciences and engineering, extremely well established in writing, journalism, debate, and law, and is becoming increasingly clear as the World Wide Web opens up a showcase for blossoming talent in artistic endeavors as well. An extraordinary number of Nobel Prize winners in physics, Fields medalists, Dirac medalists, Abel medalists, and Turing Award winners were educationally accelerated (sometimes remarkably), had remarkable school careers, or had an early obsession with computers. An interesting question concerns the effects of early public celebrity in mass media in the transition of child prodigies into adulthood. Some child prodigies, such as Gregory R. Smith (USA), James Harries (UK), or Carlos Blanco (Spain), attracted strong public attention and even had frequent collaborations in high-share television programs, where they were able to show their skills. However, this early public recognition has also been known to result in problems at later times, as it happened with William James Sidis (1898-1944). Dabrowski's theory of giftedness describes how human beings transform themselves from self-serving, conforming individuals to self-aware, self-directed persons who transcend their primitive natures and strive to "walk the moral talk." This view gives a different perspective on prodigies. His theory is about authenticity, morality, becoming and being a good person; becoming truly human. Success in his definition is not material, nor is it related to academic achievement. Success rests in a life of service to others for the betterment of humankind. These are people who in childhood (at or before age 11) showed abilities in a specific field comparable to those of a highly skilled adult; hence the term "child prodigy." Maria Gaetana Agnesi: Delivered a speech she translated into Latin at age nine. Retrieved August 12, 2007. Jean-Philippe Baratier: Said to be well versed in mathematics by age eight, published articles by age ten, joined the Academy at 14, and died before 20. Johann Carl Friedrich Gauss: His mathematical potential was noted at seven, and in his teens he unknowingly discovered the already extant Titius-Bode law. William Rowan Hamilton: A mathematical prodigy who was originally a languages prodigy. Blaise Pascal: At 11 or 12 he had secretly worked out the first 23 propositions of Euclid on his own. Regiomontanus (Johannes Müller)-Studied dialectics at 11. William James Sidis: Corrected E. V. Huntington's mathematics text galleys at age of eight and entered Harvard University at eleven where he gave his self-conceived lecture on four dimensional geometry. Isaac Albéniz-Public performance at age four. Juan Crisóstomo Arriaga: Composing at eleven and a two-act opera at 13. Samuel Barber: Composing at age seven, attempted an opera at age ten, and attended the Curtis Institute of Music at 14. Georges Bizet: Paris Conservatoire at age ten. Frédéric Chopin: Concerts and polonaises at seven, well-known composer by fifteen. Wolfgang Amadeus Mozart's first compositions, Andante (K. 1a) and Allegro (K. 1b), were written in 1761, when he was five years old. David Oistrakh-Debut at age six. Gregor Piatigorsky: At the Moscow Conservatory by age eleven, heading a quartet at 15. Michelle Wie: Qualified for the USGA Women's Amateur Public Links at ten and won the same event at 13, making her the youngest person both to qualify for and win an adult national golf championship. Tiger Woods: He first won the Optimist International Junior tournament in golf at age eight, playing in the nine-ten age group since there was no group for eight-year-olds at the time. John Stuart Mill: Knew several dead languages by age eight and studied scholastic philosophy at twelve. Jean Piaget: Published a paper on the albino sparrow at 11, later a renowned developmental psychologist. Pablo Picasso: World famous artist; his Picador is from age eight. Shirley Temple: At five years old she proved a spontaneous talent as an actress in Hollywood; she was also a great tap dancer. When she was seven she received a special Academy Award. Lope de Vega: wrote his first play at the age of 12. Zhu Da: Prodigy poet by age seven and later a painter. Child prodigies are a staple in much science fiction. Several episodes of the X-Files featured varying kinds of child prodigies; ranging from noble to violent and psychotic. Books such as Ender's Game, Matilda, Odd John, Beggars in Spain, Dune, Artemis Fowl and others deal with child prodigies or focus on them. There is also the Wesley Crusher character in Star Trek: The Next Generation and Anakin Skywalker in Star Wars. Many fictional examples portray troubled or even tortured prodigies, even the seemingly happy ones. In the series Artemis Fowl books by Eoin Colfer, Artemis Fowl II is a 12-year-old (turns 13) criminal prodigy, who also experiences family problems, his father was kidnapped and this led to Artemis' mother going through serious depression. A few films take a slightly different approach. In Little Man Tate, the character suffers from burnout in the middle of the film, but by the end he recovers and is ultimately better adjusted than he was before the film story began. A somewhat similar result occurs in Searching for Bobby Fischer where, after a tormenting level of external pressure, the prodigy finds his own way toward stability and even being "a good person." The film Real Genius takes a mixed approach. It seems to indicate that impressive early ability, leading to grand self and external expectations, coupled with obsessive studiousness and a seriousness toward one's work and life, leads people toward burnout, a phenomenon well understood within the real life version of the thinly veiled environment that is portrayed (the California Institute of Technology). The central epiphany in that film occurs when the younger Mitch and the older Chris develop a balance within their lives, fueled by their rediscovered love of science. ↑ David Henry Feldman, (1991) Extreme giftedness: A developmental view. Retrieved July 29, 2007. ↑ Howard E. Gardner The relationship between early giftedness and later achievement. Ciba Found. Symposium. 1993 178: 175-182; discussion 182-186. Retrieved July 29, 2007. ↑ Andrew Marshall, Small Wonders, TIME Asia Magazine, February 17, 2003. Retrieved January 8, 2008. ↑ Erica Goode, Brain Scans Reflect Problem-Solving Skill, New York Times, February 17, 2003. ↑ Sal Mendaglio, SENG: Articles & Resources - Dabrowski's Theory of Positive Disintegration: Some implications for teachers of gifted students. Retrieved July 19, 2007. ↑ Biography of Maria Gaetana Agnes. ↑ "Saints and their bodies" by way of Project Gutenberg. Atlantic Monthly 1(5) (March, 1858). Retrieved August 12, 2007. ↑ Biography of Johann Carl Friedrich Gaus. Retrieved August 12, 2007. ↑ Biography of William Rowan Hamilton. Retrieved August 12, 2007. ↑ The History Guide: Blaise Pascal. Retrieved August 12, 2007. ↑ Biography of Johannes Müller. Retrieved August 12, 2007. ↑ Doug Renselle[http://www.quantonics.com/The_Prodigy_Review.html A Review of Amy Wallace's The Prodigy]. Retrieved August 12, 2007. ↑ The Life of Isaac Albeniz.Alhambrismo! Retrieved August 12, 2007. ↑ Claudio Arrau Biography.Princeton.edu Retrieved August 12, 2007. ↑ Juan Crisóstomo Arriaga. Retrieved August 12, 2007. ↑ Paul Wittke. Samuel Barber. "Samuel Barber: An Improvisatory Portrait." Retrieved August 12, 2007. ↑ Classical Music Pages: Georges Bizet. Retrieved August 12, 2007. ↑ Frédéric Chopin: Poet of the Piano. Retrieved August 12, 2007. ↑ Felix Mendelssohn Retrieved August 21, 2007. ↑ Mozart's Life. Retrieved August 12, 2007. ↑ Legendary Violinists: David Oistrakh. Retrieved August 12, 2007. ↑ Gregor Piatigorsky. Retrieved August 12, 2007. ↑ NHL History: Wayne Gretzky. Retrieved August 12, 2007. ↑ Michelle Wie Timeline. Retrieved August 12, 2007. ↑ Tiger Woods Official Website. Retrieved August 12, 2007. ↑ John Stuart Mill: Overview, The Internet Encyclopedia of Philosophy. Retrieved August 12, 2007. ↑ Jean Piaget, Time Magazine, March 1999. Retrieved August 12, 2007. ↑ Online Picasso Project. Retrieved August 12, 2007. ↑ [http://www.imdb.com/name/nm0000073/bio IMDB: Biography for Shirley Temple]. Retrieved August 12, 2007. ↑ Lope de Vega, The Columbia Encyclopedia, Sixth Edition, 2001-05. Retrieved August 12, 2007. ↑ Zhu Da, Encyclopedia Britannica. Retrieved August 12, 2007. Feldman, David Henry. 1991. Extreme giftedness: A developmental view. Trillium Press. Retrieved July 29, 2007. Gardner, Howard E. The relationship between early giftedness and later achievement. Retrieved July 29, 2007. Howe, M. J. The early lives of child prodigies. Ciba Foundation Symposium 1993 178: 85-92. PMID: 8168372 [PubMed - indexed for MEDLINE] Retrieved August 31, 2007. Marshall, Andrew. 2003. "Small Wonders" TIME Magazine. Retrieved July 29, 2007. Oxford to turn away child prodigies. The Observer (UK), August 21, 2005. Retrieved July 29, 2007. The Davidson Academy of Nevada The Davidson Institute for Talent Development: Provides free support and services for profoundly gifted young people, their parents, and educators. Retrieved August 4, 2007. The Lewis Terman Study at Stanford University. Retrieved July 29, 2007. Tolan, Stephanie S. Discovering the Gifted Ex-Child. Originally appeared in Roeper Review, August 1994. Retrieved July 29, 2007. Winner, Ellen. 1999. Giftedness: Current Theory and Research. Current Directions in Psychological Science 1999, 9 (5): 153-156. Retrieved July 29, 2007. All links retrieved June 3, 2015. This page was last modified on 3 June 2015, at 18:32.